Nigeria striker Michael Uchebo has claimed he is ‘dying in silence’ after his Portuguese club Boavista have refused to pay him since March, ESPN reports. Uchebo who has been frozen out of his team’s squad, could take his case to world football governing body FIFA, if no resolution can be reached. 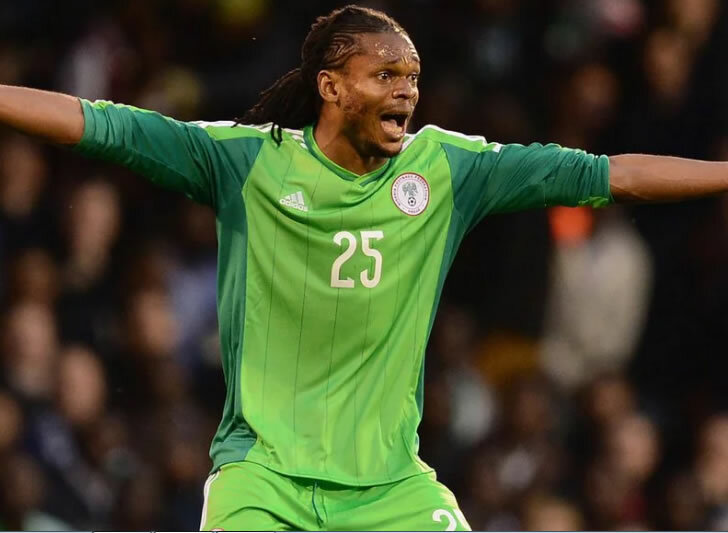 Speaking at a news conference, the Super Eagles forward said he had been forced to train alone for almost a year since the situation began last November when Boavista advised him to find another club. He said: "I remember going to have a shop and not having money to buy something; I came to [the club] and said I needed money for food. "They haven't paid my house rent, haven't paid for my electricity -- I remember two days when I didn't have any electricity in my house. "They don't give me any money and don't care for me." Uchebo claimed that, after not being paid in either December or January, offers for him from two other clubs were rejected. He said he was then paid in March but claims to have not received any money after. He said: "At the end of August I told the club president that my family had problems because they still hadn't paid me my salary. "In September they asked me to take one month's salary to leave, but the transfer window had closed. Where did they want me to go?" According to Uchebo, his problems began last November when Boavista told him to stop reporting for training and advised he should find a new club in January. Boavista had begun their Primeira Liga season disastrously as the club was afflicted with long-term financial difficulties. “I told them: ‘You’ve stopped me training for two months, you’re not paying my salary and, now I have an option, I want to go; I don’t ask for the money, I just want to continue my career,” he said. But his call fell on deaf ears. However, Uchebo is currently being supported by players' union FIFPRO and Portugal's Sindicato dos Jogadores Profissionais de Futebol [SJPF], whose president Joaquim Evangelista described his case as "embarrassment to the country (Portugal) and Portuguese football." He added: "Like any other player Michael just wants to do his job. He just wants to play again. The club is violating the obligations established in his contract." The SJPF said it was negotiating with Boavista, who have not so far commented on the situation, on behalf of Uchebo. Uchebo was a surprise selection for Nigeria’s World Cup squad and he played 34 minutes in Nigeria 3-2 defeat to Argentina in Group F.